This research into Brazilian music in general, and choro guitar music in particular, focuses primarily on the various and contrasting ways in which the repertoire is interpreted by Brazilian choro musicians, classical guitarists and jazz guitarists. Socio-cultural traditions and conventions are also explored. 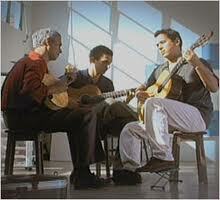 An important facet of performance in the Brazilian tradition is improvisation. The appropriateness of various improvisational approaches, including those used in jazz, are discussed. This entry was posted in Jazz / Blues guitar and tagged jazz guitar electric music scores bossa nova. Bookmark the permalink.